The Literacy and Learning theme of A Better Start – National Science Challenge aims to help children to succeed, as early as possible, in life. Once children start school, many influences on their learning success are already at play – health and wellbeing, family/whānau support, involvement with support agencies, and the child’s own interest and attitude towards school. The research series in this project is designed to capture these influences and determine factors that influence the development of successful learners at the end of their first year at school. Early learning success is fundamental to children leading successful and healthy lives. Professor Gillon (Ngāi Tahu iwi) is the Director of the University of Canterbury Child Well-Being Research Institute and is also Co-Director of the Better Start National Science Challenge ($34M) E Tipu E Rea, A 10 year programme of research focused on ensuring all young children have a successful start to life. Prof Gillon’s area of research focuses on understanding the relationship between spoken and written language development and, in particular, the importance of children’s phonological awareness to reading and spelling development. Brigid McNeill, PhD, is a senior lecturer in the College of Education, Health and Human Development at the University of Canterbury in Christchurch, New Zealand. Dr McNeill is an international expert on literacy development in children with childhood apraxia of speech. Her prospective study of the validity and nature of childhood apraxia of speech has been supported by a Fast-Start Marsden grant from the Royal Society of New Zealand. Her research also focuses on developing and evaluating methods to better prepare teachers to support children’s early literacy development. Dr McNeill is on the management team of the New Zealand Institute of Language, Brain and Behaviour and leads its language acquisition research theme. She is a researcher in the Literacy stream of the ‘A Better Start: E Tipu e Rea’ project. Professor Macfarlane’s research focuses on exploring Indigenous and sociocultural realities that influence education policy and practice. His prolific publication portfolio has earned him national and international standing in his field of scholarship. He has been the recipient of a number of prestigious awards, including the Tohu Pae Tawhiti Award from the New Zealand Council for Educational Research, and the University of Canterbury Research Medal. 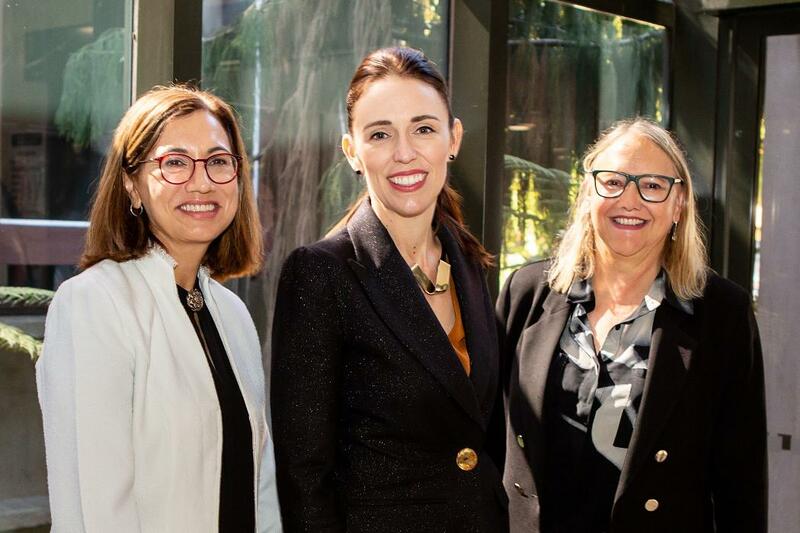 Professor Macfarlane is the Kaihautū (Senior Māori Advisor) of the New Zealand Psychological Society, and the inaugural Professor of Māori Research at the University of Canterbury. Professor Macfarlane is a Principal Investigator and Leader of Vision Mātauranga Māori on the ‘A Better Start: E Tipu e Rea’ project. Niki Davis is University of Canterbury Distinguished Professor of e-Learning. She is recognized internationally as a leading expert in ICT in education. Sought by UNESCO, international agencies, and institutions for her expertise; she has over 200 publications. Professor Davis has recently published a book and is associated with the postgraduate course on Change with Digital Technologies in Education within the University of Canterbury Postgraduate Diploma of Education (e-learning and digital technologies). Professor Davis is a leading investigator on the Literacy stream of the project, including the ‘braid’ of research on emerging bilinguals living in a digital world. Philip Schluter is Professor of Health Sciences and Deputy Head of School, School of Health Sciences at the University of Canterbury. He is also Honorary Professor of Biostatistics, University of Queensland, Adjunct Professor of Biostatistics, AUT University, and co-chair, Public Health Committee, Health Research Council of New Zealand, for project/programme applications. Professor Schluter has over 200 peer-reviewed journal articles, most of an epidemiological nature focused on vulnerable populations, with important health policy implications. Professor Schluter is a key scientist on the ‘A Better Start: E Tipu e Rea’ project, and brings expertise in the areas of epidemiology and population health. Professor John Everatt’s background is in research on literacy acquisition and developmental learning difficulties, such as dyslexia. He completed a PhD on ‘Individual differences in reading’ at the University of Nottingham, UK, then lectured in psychology at the Universities of Surrey and Wales in the UK, before becoming a Professor of Education at the University of Canterbury, NZ. Although his research aims to inform the support of children and adults with learning difficulties in English-language populations, a primary focus of his work is also the investigation of how characteristics of different languages/scripts lead to different manifestations of reading/writing problems. Professor Everatt is a key scientist on the Literacy stream of the ‘A Better Start: E Tipu e Rea’ project. Professor Tunmer received his PhD in Experimental Psychology from the University of Texas at Austin in 1979, specializing in the areas of theoretical linguistics, psycholinguistics, and cognitive development. From 1980 to 1988 he served on the staff of the Faculty of Education at the University of Western Australia, and from 1988 to early 2016 he held the position of Professor of Educational Psychology at Massey University, where he served as Dean of the Faculty of Education. Professor Tunmer has published over 150 journal articles, book chapters, and books on early literacy development, literacy learning difficulties, and reading intervention. He has served on the editorial boards of Reading Research Quarterly, Language and Education, Reading and Writing, and the Journal of Learning Disabilities, and in 2012 he completed a 5-year term as Associate Editor of Reading and Writing. His most recently published book is: Tunmer, W.E., & Chapman, J.W. (Eds.) (2015). Equity and excellence in literacy education: The case of New Zealand. Basingstoke, UK: Palgrave Macmillan. Dr Macfarlane affiliates to the Ngāi Tahu and Ngāti Waewae iwi in the South Island of Aotearoa New Zealand. Her research, publications and teaching focus on culturally responsive evidence-based practices in education, psychology, counselling and human development. Her career pathway has seen her move from classroom teacher to itinerant teacher, to special education advisor, to the national Professional Practice Leader: Services to Māori (Pouhikiahurea) in the Ministry of Education, Special Education. Dr Macfarlane is an Associate Professor in the School of Human Development and Movement Studies at the University of Waikato, Aotearoa New Zealand. She is also an Adjunct Associate Professor in the School of Health Sciences at the University of Canterbury. Dr Karyn Carson is a Lecturer in Special Education as part of the School of Education at Flinders University. She is currently in the early stages of a research and teaching career with specialist interests in the early identification and prevention of reading disorder particularly for children with spoken language impairment, assessment development using technology in the classroom, and achieving equality in educational outcomes for children with additional needs. She holds an Adjunct position in the School of Teacher Education at the University of Canterbury. Dr Amy Scott is a Post-Doctoral Research Fellow and Project Manager to the Literacy and Learning theme of A Better Start. A qualified Speech-Language Therapist, Dr Scott is interested in interventions to support early literacy and language development in young children. Dr Scott holds a PhD in Education, as well as degrees in Psychology and Speech-Language Therapy with Honours from the University of Canterbury, and has experience working with a diverse range of populations including young children, adolescents, and children with Special Needs. In his role as Kai-arahi Pasifika Tufulasi is responsible for fostering and enhancing the relationship with the Pasifika community and promoting Pasifika Education and achievements throughout the College of Education, Health and Human Development, UC and wider educational community. In his previous role as Senior Advisor, Pasifika Education at UC Education Plus, Tufulasi developed professional development programmes and initiatives to support school leaders and teachers at both curriculum and Governance level. He was involved in educational research as a team member and as an individual researcher focusing on Pasifika and contributed to professional material and articles for teachers and school leaders to use to inform their practices. In 2012 he led a Ministry of Education funded initiative known as the ‘Pasifika Success Talanoa Project’, utilising his own model of success to support teachers and school leaders in raising student achievement. Tufulasi has fostered close relationships between schools and the Pasifika community, supporting schools to understand and promote the value of Pasifika cultures, identities and languages. He also established the UC Pasifika Talanoa Centre where community learners come together to raise Pasifika achievement. Tufulasi is the Pasifika advisor to the ‘A Better Start: E Tipu e Rea’ project. Liz is a Māori advisor to the ‘A Better Start: E Tipu e Rea’ project. Dr Elizabeth Schaughency is a faculty member in the Department of Psychology at the University of Otago. During her PhD studies and clinical psychology internship, she completed specialised training in clinical child psychology. She has taught future teachers at the undergraduate level and educational and clinical psychologists at the postgraduate level, and has provided professional development to child-oriented professionals from a number of disciplines. Over the past 10 years, she has been studying children’s developing literacy in New Zealand and the ways in which important adults in children’s lives may support developing skills. Dr Schaughency is a co-investigator on the Literacy stream of the ‘A Better Start: E Tipu e Rea’ project. A Better Start. (2018). Successful Literacy and Learning theme - Summary Report of Progress. Gillon, G. T. (2017). Phonological Awareness: From Research to Practice, 2nd Edition. New York: USA: Guilford Press. Gillon, G., & Macfarlane, A. H. (2017). A culturally responsive framework for enhancing phonological awareness development in children with speech and language impairment. Speech, Language and Hearing, 1-11. Fickel, L., Macfarlane, S., & Macfarlane, A. (2017). Culturally responsive practice for indigenous contexts: Provenance to potential. In C. Reid & J. Major (Eds. ), Global Teaching: Southern perspectives on teachers working with diversity, (101-127). Sydney, NSW: Palgrave MacMillan. ISBN: 978-1-137-53214-5 (Print) 978-1-137-52526-0 (Online). Macfarlane, A., Macfarlane, S., Graham, J., & Clarke, T. (2017). Social and emotional learning and Indigenous ideologies in Aotearoa New Zealand: A biaxial blend. In E. Frydenberg, A. Martin & R Collie (Eds. ), Social and emotional learning in Australia and the Asia Pacific, (pp. 273-289). Sydney, NSW: Springer. Macfarlane, A. (2017). Kaupapa Māori Research. Paper presented at the Indigenous Research and Education: Creating Change Symposium. University of Sydney, Sydney, Australia, 16-17 February. Derby, M. & Macfarlane, S. (2017). Braiding Māori constructs into a National Science Challenge. Presentation at the Indigenous Research and Education: Creating Change Symposium, University of Sydney, Sydney, Australia, 16-17 February. Gillon, G., Hyter, Y., Fernandes, F. D. M., Ferman, S., Hus, Y., Petinou, K., Segal. O., Tumanova, T., Vogindroukas, I., Westby, C. & Westerveld, M. (2017). International Survey of Speech-language pathologists’ practices in working with children with Autism Spectrum Disorder (ASD). In press. King, J. & Cunningham, U. (2016). Parent workshops: Supporting language communities. Paper presented at the Second UC Intergenerational Transmission of Minority Languages Symposium: Community Matters, University of Canterbury, Christchurch, 12 December 2016. Cunningham, U. & King, J. (2016). Myth-busting in the face of rumours, misinformation and propaganda: Empowering parents and carers with research-informed information on raising children bilingually in New Zealand. Paper presented in a panel convened by Louisa Willoughby: Boundary crossing: Reimagining heritage language education for the 21st century at the Applied Linguistics Association of Australia (ALAA) annual conference, Monash University, Melbourne, 5-7 December 2016. Macfarlane, A., & Macfarlane, S. (2016). Shared spaces: Erasing inequities by braiding the rivers of knowing. New Zealand Political Studies Association (NZPSA) Conference: “Divergent Democracies: Politics in the 21st Century”, University of Waikato, Hamilton, NZ, 28-30 November. Davis, N.E. (2016). Change with digital technologies in education: The Arena. Invited keynote at International Conference on Educational Innovation: Curriculum, Instruction, and Industry-Academy Cooperation, Hsinchu, Taiwan, 24-25 November, 2016. Derby, M. (2016). DO NOT READ THIS! 3 Minute Thesis presentation at the MAI Doctoral Conference, Victoria University of Wellington, Wellington, New Zealand, 24 November. Davis, N.E. (2016). Change with digital technologies in education: The Arena. Invited oral presentation for National Tsing Hua University Institute of Learning Sciences, Hsinchu, Taiwan, 24 November, 2016. Graham, J., Macfarlane, S., Macfarlane, A., & Clarke, T. (2016). Social and emotional imperatives and Indigenous ideologies: Proposing a repositioning of the politics of learning via a biaxial blend. Presentation to the New Zealand Association of Research in Education (NZARE) Annual Conference: “The Politics of Learning”. Victoria University of Wellington, NZ, 20-23 November. Macfarlane, A., Macfarlane, S., Gillon, G., Graham, J., Derby, M. (2016). Tangatarua: Confluencing the knowledges from two worlds. Presentation at the 7th Biennial International Indigenous Research Conference, Ngā Pae o te Māramatanga, Auckland, New Zealand, 17 November. Gillon, G. T., Macfarlane, A. H., Derby, M. & Scott, A. (2016). Te reo Māori Phonological Awareness Assessment. Presentation at the 7th Biennial International Indigenous Research Conference, Ngā Pae o te Māramatanga, Auckland, New Zealand, 15-18 November, 2016. Derby, M. (2016). Ko te kai a te rangatira he kōrero: Turn stories into conversations and watch children’s language grow. Presentation at the Annual Māori Research Colloquium, University Of Canterbury, Christchurch, 4 November. Derby, M. (2016). Ko te kai a te rangatira he kōrero: Turn stories into conversations and watch children’s language grow. Presentation at the College of Education, Health and Human Development Aboriginal Showcase, University Of Canterbury, Christchurch, 25 October. Gillon, G. T., Hyter, Y., Dreux, F., Ferman, S., Hus, Y., Petinou, K., Segal, O., Tumanova, T., Vogindroukas, I., Westby, C. & Westerveld, M. (2016). International survey of SLP practices in working with children with Autism Spectrum Disorder (ASD). Oral Presentation at New Zealand Speech-Language Therapy Association Conference, September 7-9, 2016, New Zealand. Gillon, G. T., Hyter, Y., Dreux, F., Ferman, S., Hus, Y., Petinou, K., Segal, O., Tumanova, T., Vogindroukas, I., Westby, C. & Westerveld, M. (2016). International survey of SLP practices in working with children with Autism Spectrum Disorder (ASD). Oral Presentation at International Association of Logopedics and Phoniatrics International Conference, August 21-25, 2016, Dublin, Ireland. On 26th and 27th October, 2017, the University of Canterbury, in collaboration with A Better Start National Science Challenge presented the 2017 Literacy and Learning Symposium. This year’s symposium brought together international and national researchers across fields of literacy, education, language learning, psychology, public health and speech language therapy, to highlight the exciting interdisciplinary developments in facilitating young children’s literacy success and healthy wellbeing. International speakers include Professor Laura Justice from Ohio State University and Professor Ilsa Schwartz from University of Tennessee. Over 200 people attended the two-day symposium. Please click here for the programme booklet Symposium Programme. Please see below for copies of speaker’s presentation slides, and also links to the two keynote addresses. Contact amy.scott@canterbury.ac.nz for more information. Abstract: Read-alouds in the home environment have positive impacts on young children’s language and literacy skills. In this presentation, I first describe these impacts, and then discuss barriers that prevent children from experiencing frequent read-alouds at home. Finally, I present evidence-based strategies for increasing children’s exposure to read-alouds at home. Abstract: This presentation will look at macro and micro impacts on Māori intergenerational bilingualism and literacy for Ngāi Tahu living in Te Waipounamu (South Island of New Zealand). A brief historic overview will be given including language repression and revitalisation practices including the Ngāi Tahu Kotahi Mano Kāika language revitalisation strategy. A family study will be discussed along with challenges facing Ngāi Tahu and Māori families today to achieve quality te reo Māori acquisition for their children along with the broader goals of Ngāi Tahu achieving educational success as Ngāi Tahu. Teacher talk: the oral and text-based vocabulary used by kindergarten teachers.